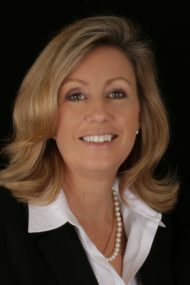 Lynette Baker has been in the title and escrow industry for 40 years, 28 of which have been with Stewart Title. While Lynette has some experience with commercial and new home business, and refinances, her primary focus is in the resale market. She understands keenly that her service is predicated on solutions and finding ways to overcome problems. Experience is priceless, and Lynette’s ability to bring a dedicated approach to escrow by combining that experience with exceptional proficiency is how she continues to provide exemplary service. Lynette prides herself in the long term relationships she’s made over her many years of service in the Folsom area. Reliability and consistency are key factors to how Lynette has built a loyal group of clients. When Lynette isn’t closing escrows for her customers she enjoys traveling to Hawaii and internationally as well.